While drinking this beer on a pleasantly warm July day I found it quite fitting that the beer itself was a sunny yellow color and very clear. Even though the head was billowy, there was only a small amount of bubbles carbonating the beer. Small splashes of lacing appear after each drink. 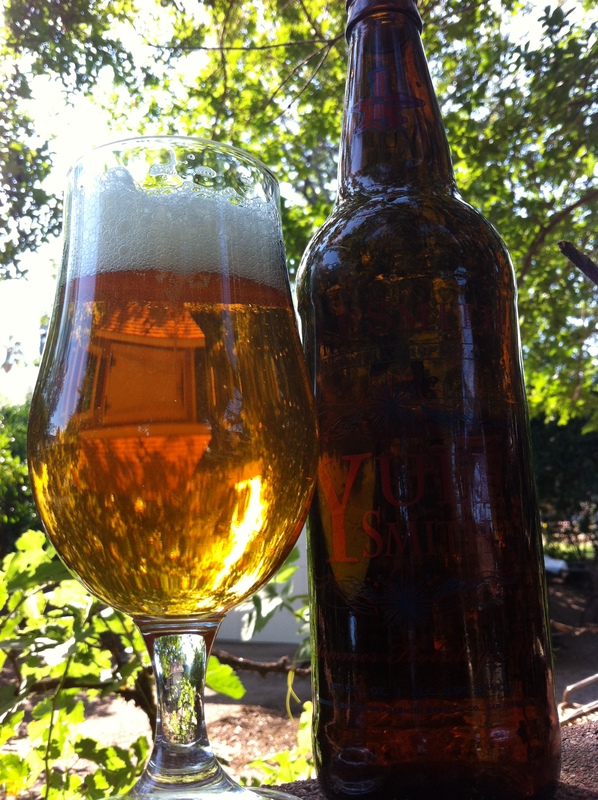 Like a majority of the West Coast/San Diego DIPAs, Yulesmith has a nose full of hop resin and pine sap. Grass and sweet citrus (tangerine with a dash of lemon) notes were also detected, along with some sweet wheat and honey malts for balance. Once again the hop resin takes center stage, delivering a big dose of piney goodness. Tangerine, biscuits, and hay fill out the middle of each sip. It finishes with a hefty medicinal/herbal hop bitterness that reminds you this is an Imperial IPA. All things considered the mouthfeel still manages to be light and airy. It dissolves surprisingly quick, but leaves behind ye olde hop burn. Although Yulesmith (Summer) isn’t a bad beer, I expected something less abrasive than it turned out to be. The nose was interesting, but alas the resinous hops took over the show and made the taste less balanced than I would have preferred.